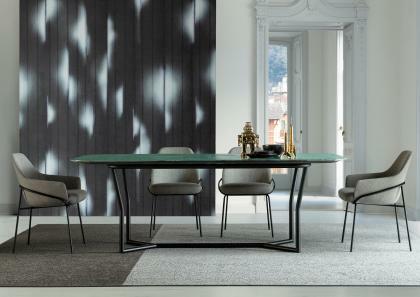 The tables from BertO Collection are the perfect connection between living area and daily space. 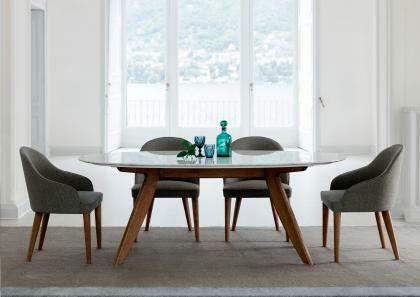 Thanks to the experience of BertO Fine Upholstery Tailoring and the innovative researches of BertO Design Studio our dining tables are characterized by rich and elegant details and can satisfy even the most demanding customers. For the production of our tables we use natural and extremely resistant materials, such as solid wood, marble, tempered glass or steel. We can provide a wide range of finishing and design suitable for every atmosphere you would like to create. 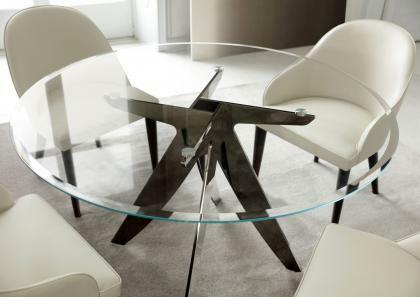 Every table from BertO Collection is custom made available as for sizes and finishing.